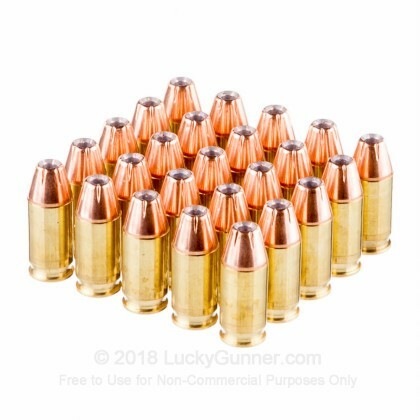 This .380 ACP ammunition puts some real firepower in your carry pistol, whether it's a SIG P238, Ruger LCP, Colt Mustang, or Walther PP. 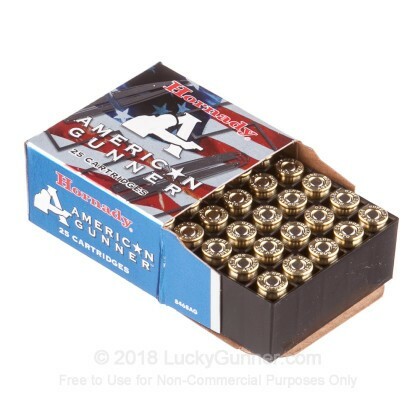 Each cartridge in this box of 25 fires a 90 grain jacketed hollow point XTP bullet at an 1,000 feet per second. The XTP bullet is a tried and true Hornady design known for its high penetration and ability to expand and incapacitate assailants quickly. 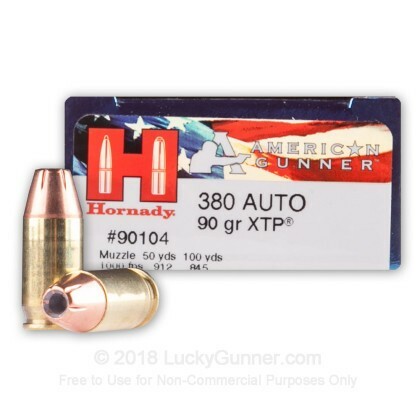 These traits combine with the above-average muzzle velocity of the American Gunner load to produce an effective .380 Auto self-defense cartridge for subcompact firearms. 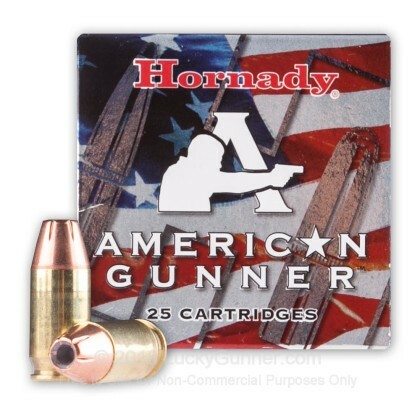 Like other Hornady defensive ammo, these cartridges use non-corrosive Boxer primers and brass cases. Hornady of Grand Island, Nebraska has been a leader in bullet design since the late 1940s. 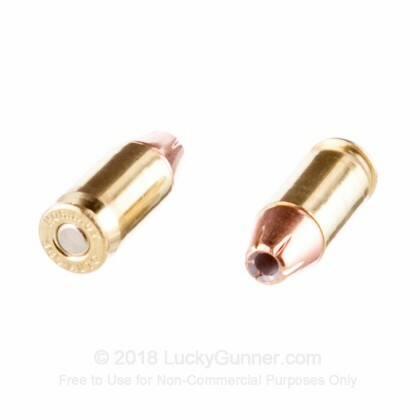 Their loaded ammunition is engineered to make the most of their renowned projectile designs and delivers superior performance at a highly competitive price point. Average performance in my LCP, I got a mean 5 shot average of 910 FPS, no expansion into water jugs and got a few feed ramp hang ups. This ammo backs up what is says in that it's very dependable when it matters for any scenario. This is the ammo I have in my cc bodyguard and know it'll work when it matters! 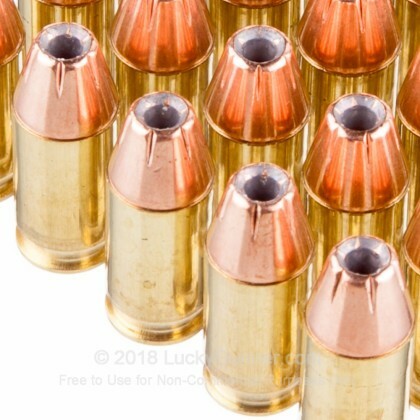 Q: Are there any plans to test this ammo and add it to your chart? Your research and testing is fantastic and is much appreciated. I refer many people to your pages for the useful information. A: Hi Rich. I am glad to hear you enjoy our information and site. I believe I use it as much as our customers! It is a wealth of information. Due to various constraints for our testing, we have to test a overall category of ammo from a mix of manufacturers. As much as we would love to test every self-defense round we sell, we have to stick to a standard of testing that allows the best overall representation of our brands. Hopefully it won't be long until we can test that XTP and when we can, you will find the results there.